universal part // Scooter Shop Dealer Helmet Cleaner Display Kit Zeibe Moto Essential Accessories Wet Clean Wipes 128 pcs - The Perfect Gift for Motorcycle Riders! base price: $1.09 / Stk. 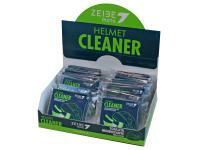 Scooter Shop Essentials Dealer Helmet Cleaner Display Kit Zeibe Moto Wet Clean Wipes 128 pcs - The Perfect Gift & Accessory for Motorcycle Riders!